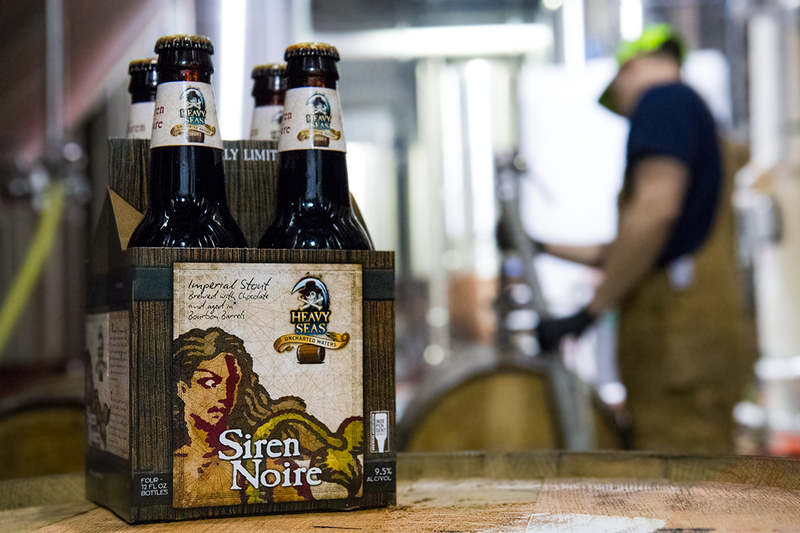 BALTIMORE, MD – The “Uncharted Waters” Series by Heavy Seas Beer will soon welcome the 2018 edition of Siren Noire, an Imperial Chocolate Stout aged in bourbon barrels. This limited release will be available in January in all states where Heavy Seas beer is distributed. For 2018, all “Uncharted Waters” Series beers will now be available in 4 packs of 12oz bottles, no longer 22oz. Siren Noire is a velvety, rich chocolate stout. Almost three pounds of Belgian coco nibs are used per barrel. It’s aged for five weeks in bourbon barrels with vanilla beans added. A mix of dark malts gives Siren Noire a well-rounded body that is decidedly chocolatey—but without being extraordinarily sweet or cloying. 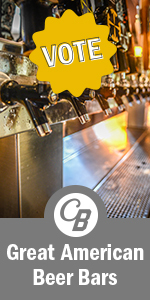 Brewers Gold hops contribute an earthy spiciness, with notes of black current. Heavy Seas Beer’s mission is to sail new brewing horizons, guided by the winds of traditions, and driven by the quest for adventure. Heavy Seas is about adventure, challenge, risk taking, rebellion, and an active lifestyle. Symbolizing a certain swagger, our pirate logo is the perfect metaphor and the ocean has always been one of man’s greatest challenges and most inspiring adventures. We love people who have the courage and character to challenge what life has to offer, aware of the risks, and who embrace it anyway. We make beers to celebrate both the people and their adventures. It’s an attitude, a lifestyle and who we are.